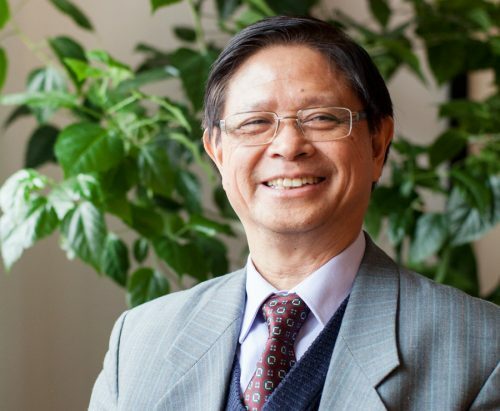 Do Minh Thai brings four decades of experience in biostatistics to his role as Director of Statistics and Methodology. Influential since the inception of ZEG Berlin, he has comprehensive knowledge in the analysis of clinical and epidemiological studies with particular expertise in the management of large databases. He coordinates the complex statistical analysis on multiple ZEG Berlin projects. Thai studied mathematics at the University of Greifswald (Germany), receiving his PhD in Mathematical Cybernetics and Computer Sciences in 1977. Throughout his career Thai has established himself as a reputable partner delivering exacting study design, data management and data analysis. Bardenheuer Kristina, Dinger Jürgen, Do Minh Thai, Venous thromboemolism in users of a 24-day regimen of a combined oral contraceptive compare to conventional 21-day regimens: final results from the INAS-OC study. Pharmacoepidemiology and Drug Safety. 2013; 22(S1) 1-521. 10.1002/pds.3512. Dinger Jürgen, Bardenheuer Kristina, Do Minh Thai, Dose of estrogen and contraceptive failure rates of combined oral contraceptives. Pharmacoepidemiology and Drug Safety. 2011; Aug: 20(S1) 75. Dinger Jürgen, Do Minh Thai, Bardenheuer Kristina, Effectiveness of oral contraceptive pills in a large U.S. cohort comparing progestogen and regimen. Obstetrics and Gynecology. 2011; 117:33-40. Bardenheuer Kristina, Dinger Jürgen, Do Minh Thai, Franke Christian, Leddin Janko, Differences in drug utilization of oral contraceptives in the US and Europe. Pharmacoepidemiology and Drug Safety. 2010; 19:S241. Heinemann Lothar A , Do Minh Thai, Filonenko A, Uhl-Hochgräber K, Explorative evaluation of the impact of premenstrual disorder on daily functioning and quality of life. The Patient. Patient-Centered Outcomes Research. 2010; 3(2):113-123. Heinemann Lothar A , Dinger Jürgen, Assmann Anita, Do Minh Thai, Use of oral contraceptives containing gestodene and risk of venous thromboembolism: outlook 10 years after the third-generation "pill scare" Contraception. 2010; May;81(5):401-7. 10.1016/j.contraception.2009.12.014. Assmann Anita, Dinger Jürgen, Filonenko A, Do Minh Thai, Heinemann Lothar A , Impact of severe premenstrual disorders on work, daily life, social relations, and quality of life: preliminary results of a multinational follow-up study. Pharmacoepidemiol Drug Saf. 2008; 17: S116. Kratzik C, Heinemann Lothar A , Saad F, Do Minh Thai, Rücklinger E, Composite screener for androgen deficiency related to the Aging Males’ Symptoms scale. Aging Male. 2005; 8 (3/4):157-161. Spannagl M, Heinemann Lothar A , Do Minh Thai, Assmann Anita, Schramm W, Schuermann R, Comparison of incidence/risk of venous thromboembolism (VTE) among selected clinical and hereditary risk markers: a community-based cohort study Thrombosis Journal . 2005; 3:8 (20 Jul 2005). DOI: 10.1186/1477-9560-3-8. Heinemann Lothar A , Do Minh Thai, Assmann Anita, Schramm W, Schuermann R, Hilpert J, Spannagl M, VTE risk assessment – a prognostic model: BATER cohort study of young women Thrombosis Journal. 2005; 2005;3:5 (18 April 2005). DOI: 10.1186/1477-9560-3-5. Moore C, Huebler D, Zimmermann T, Heinemann Lothar A , Saad F, Do Minh Thai, The AMS scale as outcome measure for treatment of androgen deficiency Eur Urology. 2004; 46:80-7. Heinemann Lothar A , Do Minh Thai, Strelow Frank, Gerbsch Silvia, Schnitker Jörg, Schneider HPG, The Menopause Rating Scale (MRS) as outcome measure for hormone treatment? Health and Quality of Life Outcome. 2004; 2:67. Doi:10.1186/1477-7525-2-67. Daig I , Heinemann Lothar A , Kim S, Leungwattanakij S, Badia X, Myon E, Saad F, Potthoff P, Do Minh Thai, The Aging Males' Symptoms (AMS) scale: review of its methodological characteristics Health and Quality of Life Outcomes. 2003; 1:77 (December 2003). 10.1186/1477-7525-1-77. Heinemann Lothar A , Thorogood M, Kerle K M, Assmann Anita, Do Minh Thai, Use of psychotropic drugs and risk of cardiovascular events. Life and Medical Science Online. 2000; 1.